The most familiar aspect of the Olmec’s is their artwork, particularly the aptly named "colossal heads". This model could be used for a Mexican or Aztecs theme or if you have an Aztec theme garden. 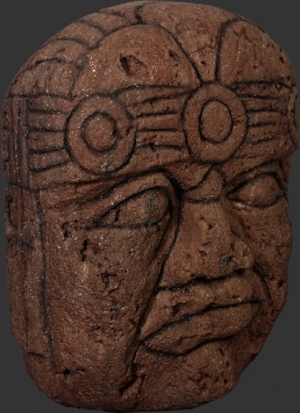 Why not pair this model with the Olmec Head 44” (JR 100082), to complete your Aztec theme.